Happy Snow Day! If school is canceled and you’re looking for something fun to do at home, check out our list filled with things to do on a snow day! Make ice cream in a bag. Recipe here. Build a giant fort out of blankets, chairs, and pillows. 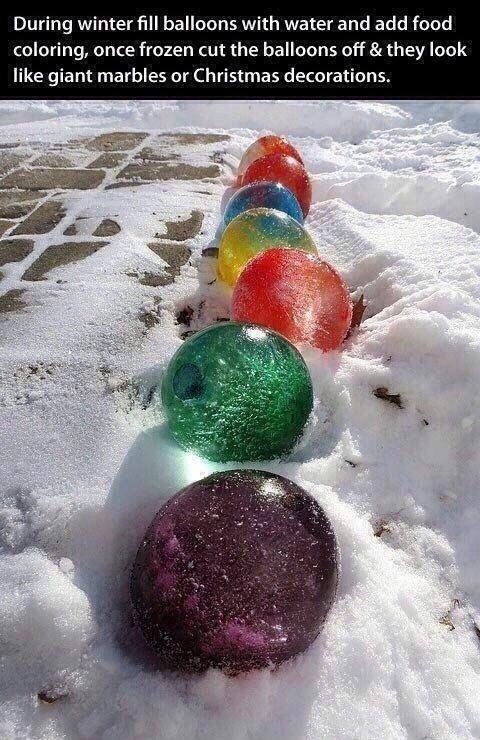 Make giant frozen ballon marbles. Instructions here. 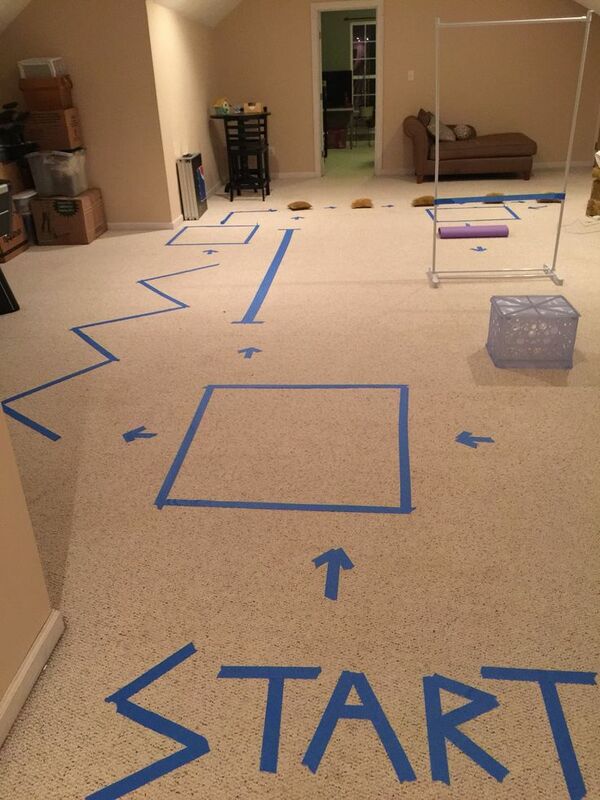 Make an obstacle course around the living room. Idea here. Write a secret message using invisible ink, aka lemon juice. Instructions here. Tape a length of string across the room as a net and play balloon volleyball inside. Skype with out of town family. 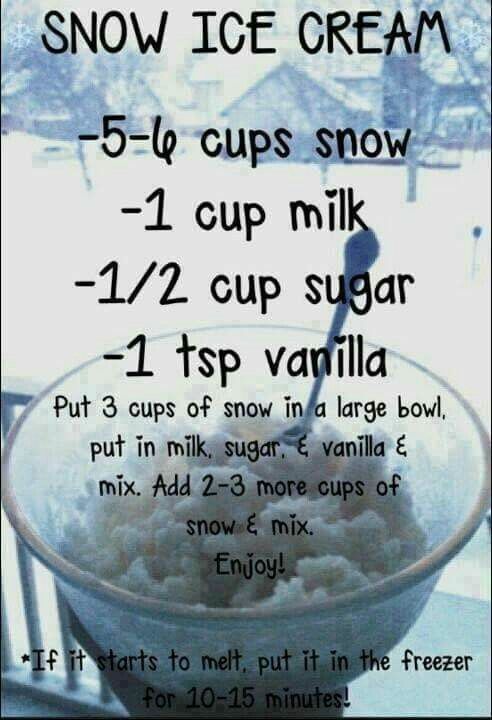 Make snow ice cream. Recipe here. Pretend its spring and have a picnic in the living room. Paint the snow with DIY snow paint. Instructions here. Make a painter’s tape maze and then have the kids dribble or kick a ball through it. Set up laundry basket skee ball. Instructions here. Do a science experiment in the kitchen. Here is a link for 13 Kitchen Science Projects. Practice Origami. Click here for 15 different ideas. Make home made rock candy. Recipe here. Hand the kitchen over to the kids and play restaurant. Play bingo. If you don’t have a bingo set you can download printable bingo here. Teach your kids YOUR favorite card game. Set up DIY laser tag. Instructions here. What are you doing on your snow day! Tell us below and we can add your ideas to our list!